Plans are underway for the eight annual Spirit of Mother Jones festival and summer school in Shandon, Cork which takes place this year from Wednesday July 31st until Saturday 3rd August. 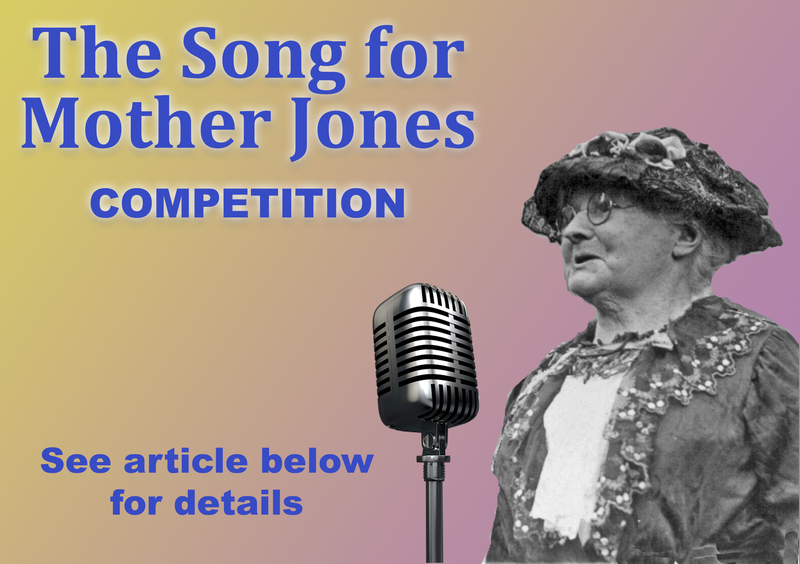 In an exciting new development, the Cork Mother Jones Committee is planning to hold an international song competition to select a new “Song for Mother Jones”. Entries can be submitted at any time up to the commencement of the festival. The theme of the song should reflect Mother Jones or associated issues such as social justice, mining or the labour movement. The song has to be your own song, or played by yourself or someone you know or nominate. It has to be an original composition. The song must be played live and with no more than one accompanist and must be performed during the festival. If you want to submit a song or wish to take part please contact the festival committee or submit an MP3 to motherjsong@gmail.com. “We are encouraging and calling on songwriters and performers everywhere to participate and come up with an original work which reflects the life and work of Cork born Mother Jones. Already there is a vast repertoire of Mother Jones songs and ballads from Gene Autry, Si Kahn to our own Andy Irvine. The song “She’ll Be Coming Round the Mountain” is reputed to have been used following Mother Jones trips to isolated mining communities. Now we want to enhance the Cork imprint on some further songs and these new songs will be performed at the forthcoming Spirit of Mother Jones festival. The full programme for the 2019 festival and summer school in Shandon is in the course of preparation but will contain some new and interesting elements to involve increased public participation. If anyone has any ideas or suggestions for the inclusion of material or topics please contact the Cork Mother Jones Committee as soon as possible at motherjonescork@gmail.com.